This chalkboard paint was in my newly acquired paint stash. I’d love to paint an entire chalkboard wall somewhere at some point, but for now I thought I would just test it on a much smaller scale. To make mine, I used black Rustoleum chalkboard paint, an old frame I had on hand, and an uncut photo mat to fit the frame. I gave the frame a couple coats of yellow spray paint to give it more contrast against the black board. 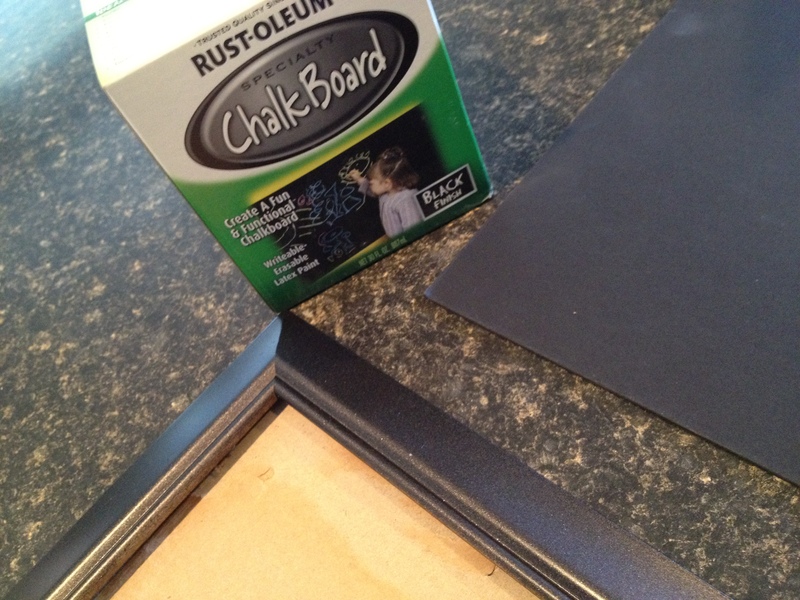 I painted the photo mat with two coats of the chalkboard paint. I used damage free Command brand picture hangers to mount it to our pantry door. 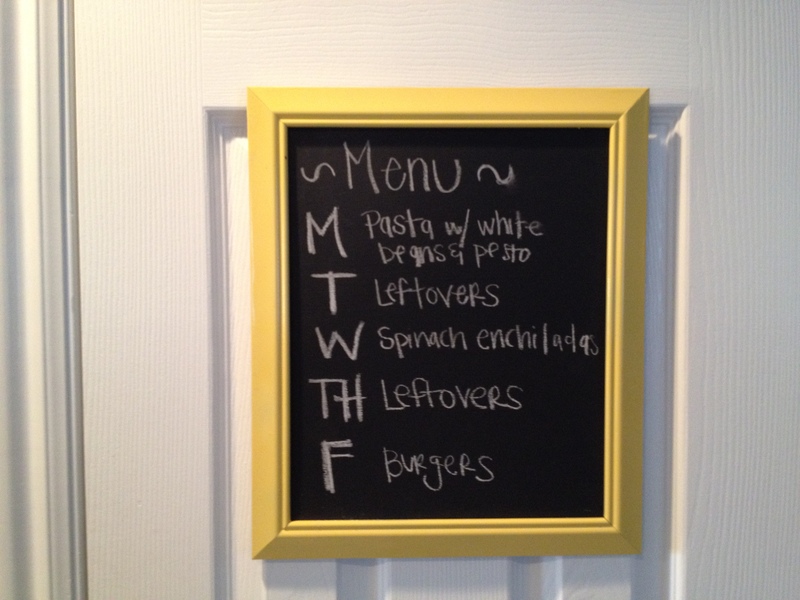 It’s really handy for planning the weekly menu without necessitating scraps of paper. This would make a great to do list in an office, too. 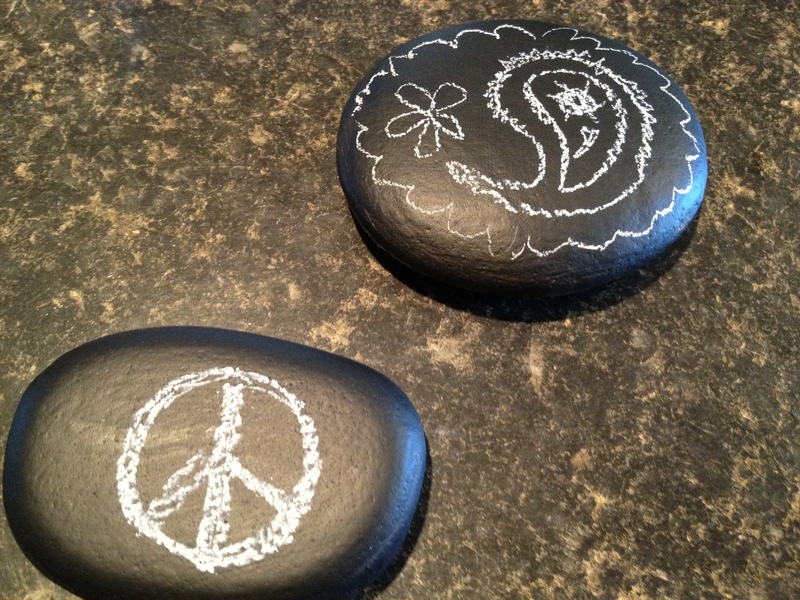 While I was at it, I painted some rocks with the chalkboard paint, too. Fun paperweights? I dunno. Love it! 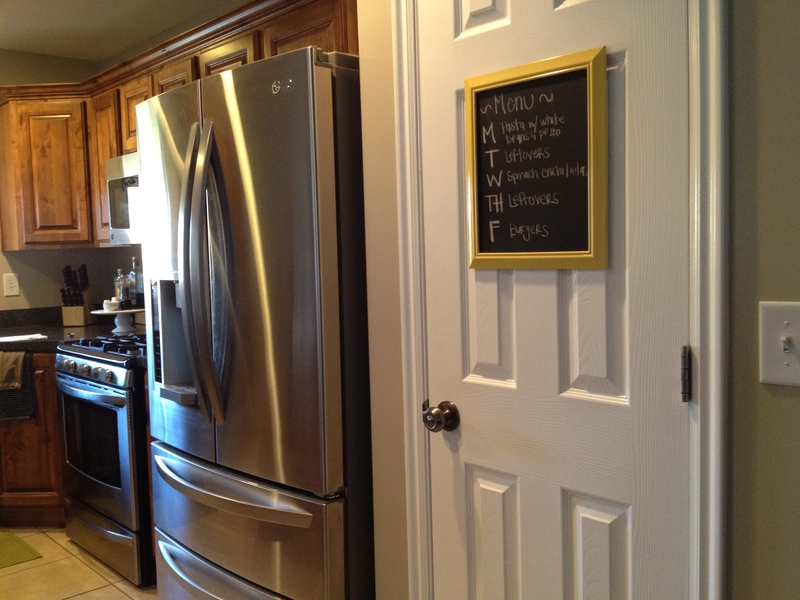 I’ve been wanting to use chalkboard paint on something, somewhere in my house, I just can’t figure out where and what.